Looking for private in-home or in-studio Flute lessons? Our Norcross teachers are ready to get you started. Find your teacher today! Check out some of our most popular teachers near Norcross, GA including Atlanta, Marietta, Decatur, Alpharetta and Duluth. I teach flutists of every age and level. In the beginning I like to ask each student what their goal is so that we can work towards that, whether it is to become first chair in band, make All-State or youth orchestra, play for Solo & Ensemble, perform with their church, or to just have fun and learn a new skill. In my lessons, I use positive reinforcement and encourage regular practice. For beginners, I usually recommend doing a 30 minute lesson once per week and then increasing the lesson time and/or frequency as they become a stronger player. I use the Rubank Method for Flute as well as Pares Scales for beginning students. Once they have become more advanced I assign more challenging etude and scale books. When the student has a grasp of the instrument, I present solo repertoire and orchestral excerpts tailored for each level. I try to keep each student's goals, ability, age, and interests in mind when choosing music to keep the lessons engaging and fun! My name is Kelly Meholic and I am a private flute lesson instructor. I have about 20 years playing experience and 13 years of experience teaching private flute lessons. In 2009 I graduated from the Conservatorio della Svizzera Italiana with my Master's in Flute Performance. Prior to that I attended Florida State University and earned my Bachelor of Music in Flute Performance. ad and hear the progress you or your child has made! I am a very patient person and in my teaching I try to keep the atmosphere positive and encouraging. I have taught in person and online all across the country including Hawaii and even as far away as Italy to all ages and levels, beginning to advanced. You never know what talent is hidden inside that could be brought out with proper instruction. After I had graduated college with my music degrees, I remember my first flute teacher finally sharing with me that I was the only student she ever had that could not make a sound in their first lesson! So you truly never know until you try! I was born and raised in Sarasota, Florida and began studying the flute at the age of 12. My interest in music was sparked after weeks of gazing longingly through the window as my twin sister crossed the street to her French horn lessons. I was determined to play an instrument too, so I asked my mom if I could take music lessons. It turned out that there was a fantastic flute teacher who happened to live down the street, so I began walking to my flute lessons. That flute teacher was Betsy Hudson-Traba, principal flutist of what is now the Sarasota Orchestra. Meeting her and starting flute lessons set my life down an incredible journey through music that would eventually take me halfway across the world. With Betsy's instruction and encouragement, I had much success as a young musician. Throughout high school I played principal flute in Sarasota’s youth orchestra program and was a winner of the Young Artist Competition. I attended Interlochen Arts Camp where I was exposed to many wonderful artists and teachers. With a lot of hard work, I was able to win first chair flute in the FMEA All-State multiple times and also participated every year in the Solo & Ensemble Festival. I loved playing classical music, but fell in love with marching band too and became drum major which ignited my passion for teaching. Wanting to pursue music as a career, I went on to study with Eva Amsler at Florida State University where I earned my Bachelor of Music in flute performance. Her teaching gave me a greater understanding of tone development, movement, and body awareness. I had a lot of wonderful playing opportunities here and as an undergraduate was playing in the top orchestra. During my time at FSU I was a proud member of the “world renown” Marching CHIEFS, where I served as section leader to 50+ flutes! It was truly incredible having a weekly audience of 80,000 football fans cheering us on. One of my favorite and more unique ensembles I participated in at FSU was the Andean ensemble, Aconcagua. I played the zampona (panpipes) and the quena (Andean flute). I loved it because it gave me the chance to play flutes still, but in a different capacity that was much more free than the classical music setting I was accustomed to. After undergrad, I decided to go abroad for graduate school earning my Master’s at a small conservatory in beautiful Lugano, Switzerland called the Conservatorio della Svizzera Italiana. I studied under Italian flutists, Mario Ancillotti, Stefano Parrino, and Giovanni Crola. Through their help I was able to refine and demonstrate greater musicality in my playing. Performance was emphasized greatly in lessons and in our school curriculum. I also had many opportunities to pursue my love of travelling and work on my foreign language skills! After heading home to the States I began my freelance career substituting in various orchestras in Florida including the Sarasota Orchestra, Sarasota Ballet Orchestra, and the Southwest Florida Symphony Orchestra. I now live in Acworth, Georgia where I teach private flute lessons and play principal flute in the Alpharetta Symphony Orchestra as well as serve as President of the orchestra's Board of Directors. This past November I had the pleasure of playing with the Gwinnett Symphony as first flute for performances of The Nutcracker with the Northeast Atlanta Ballet. In addition to music, I love spending time with my family, friends, my husband, Vance, and our adorable kitties (Ron, Harry, & Roux) I also enjoy volunteering at church where I work with the elementary age kids, and like reading, hiking, trying to bake, organizing, and cleaning! I specialize in flute and piccolo solo, orchestral, band, and chamber ensemble playing and also audition prep. Kelly was very nice and helpful...I was worried as to how online lessons would work out, but I’m excited to say that it was enjoyable and helpful. Looking forward to our next lesson!!! Ms. Kelly works with me so well to improve my playing while also positively encouraging me. Flute studies are balanced with technic and standard flute repertoire. Students are prepared to advance in band and ensembles. I improve embouchure and breath support. I can provide coaching for performances and competitions. International performer from small venues to large festivals. Whether you are looking to play for fun or looking to enhance your live performances as a seasoned musician, I can help you! I teach from beginner stages how to hold the flute, correct breathing, notes etc to music theory, how to jam with other musicians and different styles and techniques of playing. I teach students of all ages and levels. I have taught flute privately for over 8 years. I believe that lessons should be fun and informative. I also believe in hard work and collaboration. I expect students to be prepared for each lesson with all necessary materials and eager to learn new material each week. As I mentioned earlier, I believe lessons should be collaborative meaning that the student and I will decide together what materials are best suited for their goals and needs. DeKalb Counties. I have adjudicated for the Georgia Music Educators Association as well as taught sectionals and marching band camps for area schools. Carey is excellent. I'm just getting started and I really like her approach to teaching me how to play the flute! She's very patient and also a very good listener! Carey is personable and professional. My son's technique and ability improved dramatically in the first year with Carey for private instruction. She is very easy to work with, both for my son and for me. She has helped him with his music for marching band, for concert band, to get ready for auditions, etc. Could not be happier with our choice of instructor! Lorin Green has studied music since the age of nine including voice performance, violin, and flute. She graduated from Davidson Fine Arts School in Augusta, GA in 2016. Ms.Green currently studies Music Performance at Kennesaw State University where she studies with Mrs.Christina Smith of the Atlanta Symphony Orchestra. Lorin Green has had a studio of 6+ students in the past and is very experienced when it comes to teaching private lessons. nds/Brass Division. Ms.Green currently studies Music Performance at Kennesaw State University where she plays in the Symphony Orchestra and Wind Ensemble and studies with Mrs. Christina Smith of the Atlanta Symphony Orchestra and Mrs. Kelly Bryant of the Atlanta Opera. She’s very helpful in many different ways. Whenever my son is doubting his ability and skill, she explains very clearly that he is good and builds the confidence in him. She’s very detail oriented and pays attention to very important basic skills like finger placement and body positioning. She provides great suggestions for practicing at home what she has taught. Very knowledgeable and patient. I highly recommend her. Lorin was absolutely awesome. She took time to make my daughter feel comfortable and gave her the confidence since she needed in order for her to be the best she can be. She provided tips along the hour sessions and things to work on until the next time. We made an excellent decision and she is excited for the next visit. She is a great tutor because she helps you figure out how you can fix your problem and perfects it. With my 15 years of experience and a Bachelor's and Master's degree in flute performance, you can expect lessons from me to be the highest quality. I have years of experience teaching dozens of flutists of all ages, and I make sure to adjust my teaching to the needs of each individual student. Everybody is different, so I want to make sure students get the most out of their experience! Young beginners will begin in methods such as Patricia George's "Flute 101" series or Kathleen Blocki's flute method series, while intermediate and advanced players will have a more comprehensive approach with studies in tone development, technique enhancement, etudes, and solo repertoire. I am a musician based in the Sacramento area. I have a bachelor's degree in music from CSU Sacramento. I teach and perform on saxophone, flute, and clarinet. In addition, I direct elementary school bands. I am currently working toward earning a teaching credential and I hope to continue teaching professionally. I am a professional musician with a bachelor's degree in music from the Sacramento State School of Music. I have played saxophone throughout the region in many different groups, such as the award winning Sacramento State Jazz Ensemble. I have training in both classical and jazz styles. As a former "band kid," I am familiar with the ins and outs of playing in all kinds of school bands such as marching band, concert band, and jazz band. As a teacher, I like to teach good habits as well as musicianship. My goal is to help students become better players and musicians, so that they have the skills necessary to take on new musical endeavors. I also have experience in bilingual tutoring for K-12 students. This also means I have passed background checks for the state and school districts. I have developed a simple and easy to understand methodology that helps students sound great right away, giving them tangible tools for playing better and making progress. My focus is to give my students what they need to enjoy the art of making music and play with confidence and ease. Throughout the years I have helped students win full scholarships to major conservatories, prepare for competitions as well as guide and help young beginners and amateur adult students alike. I am a long time master flute teacher with a vast background of experience as an educator and performer both nationally and internationally, having maintained a varied career as an innovative chamber and orchestral musician, an international concerto and recital soloist, and a master flute teacher. I am super excited to be here to share my knowledge and expertise with students of all ages and ability. Lincoln Center’s Alice Tully Hall and Merkin Concert Hall, and have been a featured recital soloist at Wigmore Hall in London. I have performed with many of the leading symphony orchestras in Venezuela, my native country, premiering both the Jacques Ibert and Aram Khachaturian flute concerti with the Maracaibo and Venezuelan Symphony Orchestras respectively. 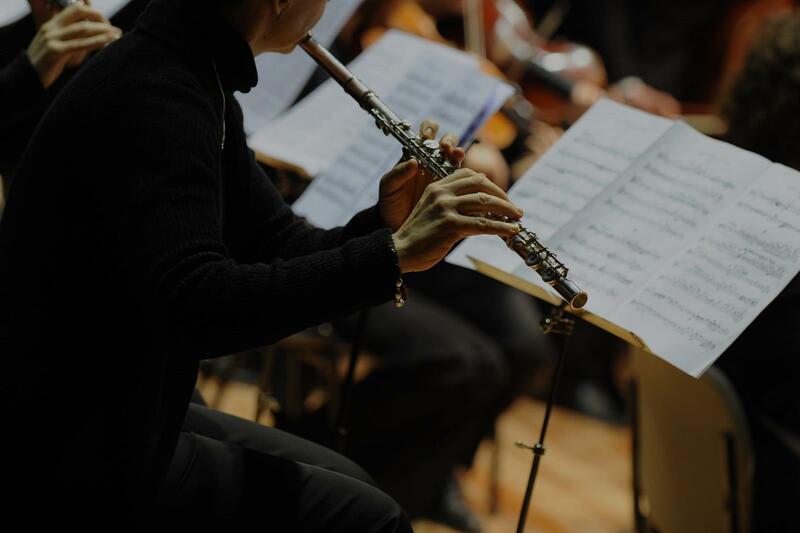 In Peru, I gave the South American premiere of the Concerto for Flute and Orchestra by Mexican composer Samuel Zyman with the Philharmonic Orchestra of Lima. As an international soloist, my performances have taken me all over the world, including South Africa, Slovenia, Scotland, Japan, and China to name a few. In the United States, I have frequently been a featured artist at the National Flute Convention, flute associations, and multiple artist series. Highlights of my 2016 and 2017 season include solo recitals at the New Jersey Flute Society, the Colorado Flute Association, the Arizona Flute Society, and the Utah Flute Association. Other solo recitals this season include performances at the Wilson Center in Milwaukee, the Art Institute of Chicago, the Suzuki Association of the Americas Biannual Conference, Four Seasons Arts in Oakland, and the Chamber Music Society of Detroit. I have served as principal flute with The New York City Symphony Orchestra, Opera Northeast, and L’Orchestra in the Berkshires, and as associate principal flute with the Venezuelan Symphony Orchestra. In New York City, I performed with the Mostly Mozart Festival, and on Broadway for the musicals Miss Saigon, Annie, Showboat, and The Sound of Music. An avid chamber musician, I have performed at The Chamber Music Society of Lincoln Center, the Chamber Music Society of Detroit, and with such distinguished artists as clarinetist Paquito D’Rivera, flutist William Bennett, flutist Ransom Wilson, harpist Nancy Allen, and oboist Heinz Holliger. I am a founding member of the chamber ensemble Classical Jam and have been a member of many critically acclaimed ensembles, among which are Triangulo, a Latin American Chamber Trio, and Quintet of the Americas. While with Quintet of the Americas, I performed at Carnegie Hall, The Bermuda International Music Festival, Chamber Music Northwest, Alice Tully Hall and Merkin Concert Hall. On radio broadcasts, I have been featured nationwide as both a host and performer on NPR’s “Performance Today”. With host Fred Child, I was the featured artist for the program “Around New York” on WNYC. Other radio appearances include live performances on WQXR in New York City with Classical Jam. I have recorded on such recording labels as CRI, Chesky Records, MMC Records, Koch World, XLNT Records and Soundbrush Records. My solo recording are: “Music of Venezuela”, virtuoso flute music by living Venezuelan composers; “Luna”, a romantic serenade of songs from Venezuela and South America for flute and guitar; “Tango Dreams”, a compilation of works by Astor Piazzolla; and “Amanecer”, a collection of Venezuelan flute favorites. Throughout my career I have been a dedicated educator, and a professional teaching artist, having hosted, presented and developed programs for Lincoln Center Education, Chamber Music Society of Lincoln Center, The New York Philharmonic, and Carnegie Hall to name a few. I was on faculty at the Longy School of Music of Bard College in Boston for over 6 years. Most recently, together with my wife, we founded an intensive training program for aspiring professional flutists. Marco Granados is a consummate musician and flutist. I've been an admirer of his playing for many years, and the training that he offers flutists is grounded in the most successful and time-honored traditions of flute technique. His early training in Venezuela was superb, and he went on to study with the great Tom Nyfenger, among others and has had a brilliant career as a soloist and flute pedagogue. As a person, he is most supportive, kind, and encouraging to all, at all levels. I have watched him teach on many occasions, and can safely say that one really can't find a better flute teacher! Highly recommended. I learned a lot in my years of studies with Prof Granados. He was kind but challenged me to become a better artist and flutist. Marco was one of the best teachers I have ever had the privilege of studying with. He is an amazing musician and teacher and most importantly, a great person. He is extremely knowledgeable and he gave me many great tips on tone, technique and repertoire. I especially loved learning Latin music with him. Maybe I’ll start studying with him again if he begins teaching online! Can't find a teacher in Norcross, GA? Atlanta, GA teacher: Kelly M.
"My daughter likes the flute lesson a lot she can wait to next week." "I can't recommend Kelly enough. Working with her has been magical. I'd say more, but I'm off to book more lessons!" y have greatly improved. Lucy is a patient and kind teacher, but pushes my daughter to do her bast." Atlanta, GA teacher: Lucy K.
"It was great first lesson. Looking for many more to come." "Kelly has been an excellent instructor! She is always flexible with us. My daughter really enjoys her flute lessons each week and is learning so much!" best she can be. She provided tips along the hour sessions and things to work on until the next time. We made an excellent decision and she is excited for the next visit." Atlanta, GA teacher: Lorin G.